Price to fit a 2m (6'6") x 91cm (3') space, a panel will cost £145, this will be painted in two coats of semi-black metal paint. 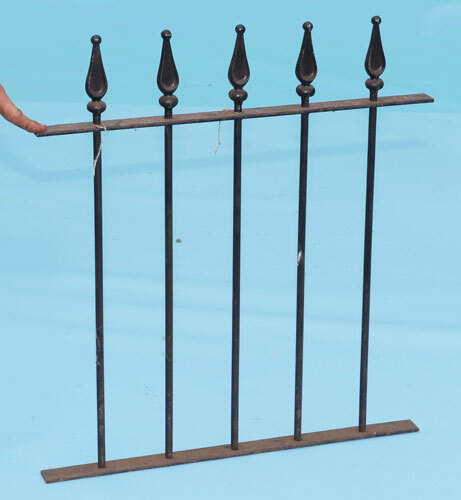 We also make, supply: wall brackets and all types of posts, please contact us for more information. For different sizes / finish etc please see our specifications page or contact us. For delivery details please contact us.